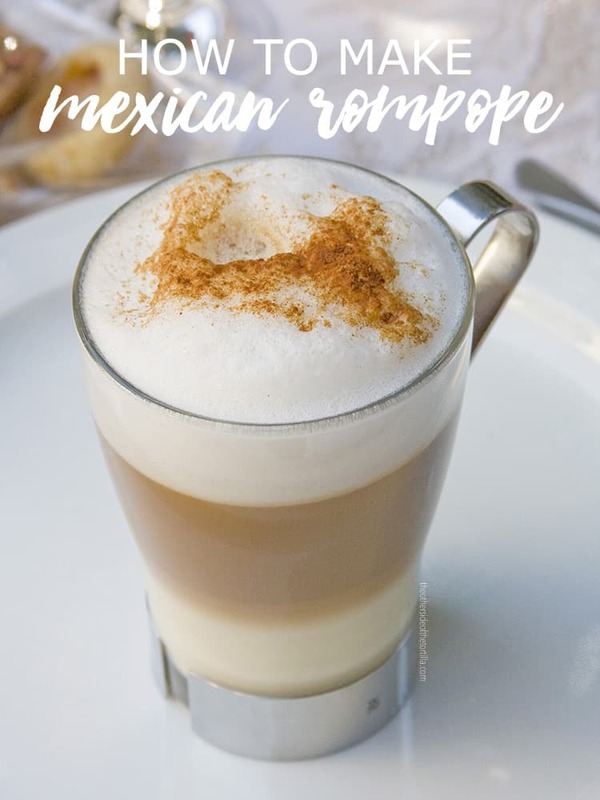 Rompope is a Mexican version of eggnog. This popular drink is a staple in many Mexican households and festivities from December all the way until Día de Reyes. Several years ago, I was able to copy down abuelita’s recipe for rompope (which was for a very large crowd, based on the portions) from a typewriter-written version in a family recipe book at my mother-in-law’s house. Thinking it was going to be difficult, I didn’t make it until a few years later. It was then that I discovered the recipe wasn’t quite complete, the directions were sparse and it didn’t taste right on the first try. So I got to work in my kitchen, testing and tasting until it seemed right to us. I’ve amended abuelita’s recipe slightly to my personal taste but so it still maintains its authenticity, and reduced the quantity of the original recipe to make a smaller batch in case we didn’t go through it quickly enough. I recommend if you’ll be drinking your rompope solo, half-cup servings are best, and this recipe makes eight half-cup servings. If you’ll be serving a small crowd, make double the recipe and just refrigerate any leftover rompope. One year, José’s Tía Annette hosted a fabulously catered posada, which is where I learned to put rompope in my coffee or make lattes with it. I’ve done it every December since! 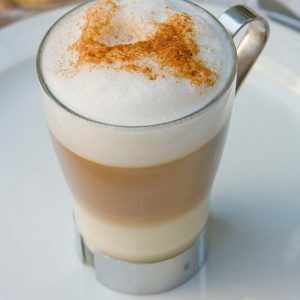 If you don’t have time to make everything all at once, you can make the cinnamon-infused milk and refrigerate it overnight, and finish the rest of the recipe the next day with no problem. The directions below have descriptions of how the egg yolks should look at ribbon stage, but if you need extra guidance, this video is pretty helpful. It’s easiest to do with a stand mixer such as a KitchenAid than it is with a whisk by hand. Don’t suffer! Just use the stand mixer. You can find aguardiente in most Latin supermarkets across the U.S. If you don’t see it on a shelf in the store, they sometimes keep it locked in a cabinet with the pricier liquors, so just ask. It’s anise-flavored liqueur that is produced from sugar cane, and much of what is available in the U.S. comes from Colombia. I advise against using imitation Mexican vanilla extract because it really doesn’t have the same taste. I only buy Nielsen-Massey Mexican pure vanilla extract, which is available online from King Arthur Flour, Amazon, and sold in many high-end culinary stores such as Williams-Sonoma or WholeFoods. (For the record, Williams-Sonoma has the best price on a 4-ounce bottle.) If you live in Los Angeles, I have also purchased this extract at Surfas Culinary District in Culver City and Gelson’s. 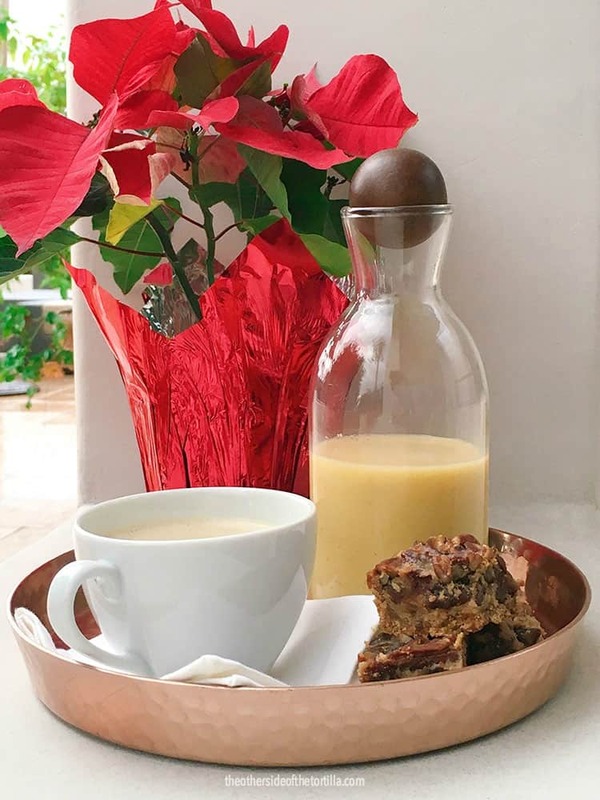 Mexican eggnog, called rompope, is a popular drink during the holidays. In a small saucepan, heat 1 1/4 cups whole milk and Mexican cinnamon sticks over medium heat. Stir frequently to prevent milk from sticking to the bottom of the pan or getting a skin. Bring it to a boil and then remove from the heat. Set aside and allow to come to room temperature. In a stand mixer with a whisk attachment, add egg yolks to the mixer bowl and bring whisk to medium speed. Start adding the sugar gradually, until you reach ribbon stage. The egg yolks should turn light yellow and look creamy and fluffy. Turn the whisk speed to low and slowly add the room temperature milk and 3 teaspoons Mexican vanilla extract. Slowly add 1 cup aguardiente (sugar cane liquor) until fully incorporated. While the whisk is still on low speed, add 1/2 teaspoon freshly grated nutmeg and continue whisking for 1 minute. Pour contents of the bowl into an airtight glass bottle and store in the refrigerator for up to 10 days. The rompope tastes better on the second day, as the alcohol settles with the other ingredients. If it doesn’t taste boozy enough to you at first, wait to add any more alcohol until at least the day after.